Manchester United lost the first leg match of the UEFA Champions League quarter-final against Barcelona. Luke Shaw’s own goal early into the match was enough for the Spanish side to claim a 1-0 victory away from home, which will make things all that much harder for Ole Gunnar Solskjaer and his boys. The match did not go the plan, but Man United got two really good midfield performances from Fred and Scott McTominay. The duo did a lot of great job, especially defensively, as they broke the play and managed to recycle possession very often. Fred had 15 interceptions himself, while McTominay proved once again he is unfazed by big European nights and matches when performing to the highest level is a must. The youngster enjoyed himself, while Fred finally started showing why he was bought last summer. Hopefully this match is a watershed moment for him and the Brazilian continues improving with every game. Ashley Young’s performance, however, was quite the opposite from the midfield duo. 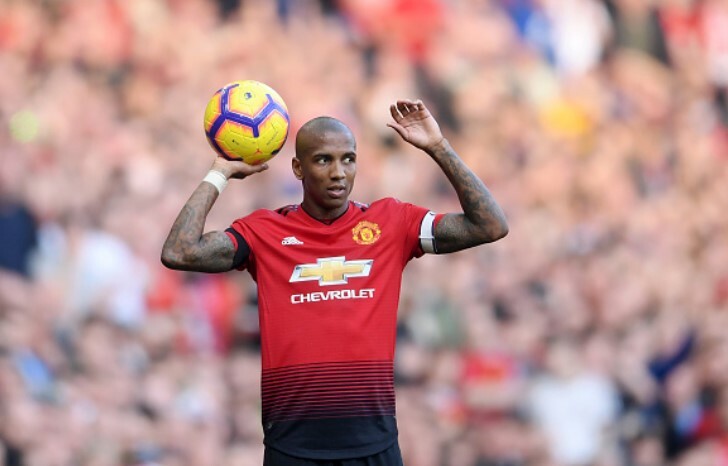 Several times this season we wrote about Young’s simple lack of quality for the highest level, pointing out at his issues at both ends of the pitch and this time that was on display once more. Young’s leadership in this team is not doubted for a second, but on the pitch, he is struggling. Against Barcelona his main job was a bit more offensive than usual, as Devils played with three centre-backs, but Young’s 11 crosses yielded absolutely nothing, making them all look generic and inefficient, losing possession without real plan to create something actually useful. Manchester United played two home matches in knockout stages of the Champions League this season and in those 180 minutes of football they had one shot on target. That is a simple, but telling stat that says all too much about how many issues United have actually creating anything worth talking. That was the case against PSG, that was the case against Barcelona, but it was also something we were used to seeing in group stage matches at Old Trafford. Lukaku did not offer much, Marcus Rashford looked unfit and out of form, while the midfielders could not find ways to create anything for those in front of them. Manchester United stay alive in this tie, but just. This quarterfinal matchup was never going to be simple for Solskjaer’s side, but after a 1-0 loss at home, the Devils still have a result that keeps them in this tie. However, going to Camp Nou knowing you have to win is a big task. Man United have some decent spells in this match, where they were able to keep Barcelona at bay, but at their own ground, Blaugrana will be expected to show a different face. Man United will need another inspired performance at Camp Nou, similar to one Solskjaer and his teammates gave the Devils 20 years ago.